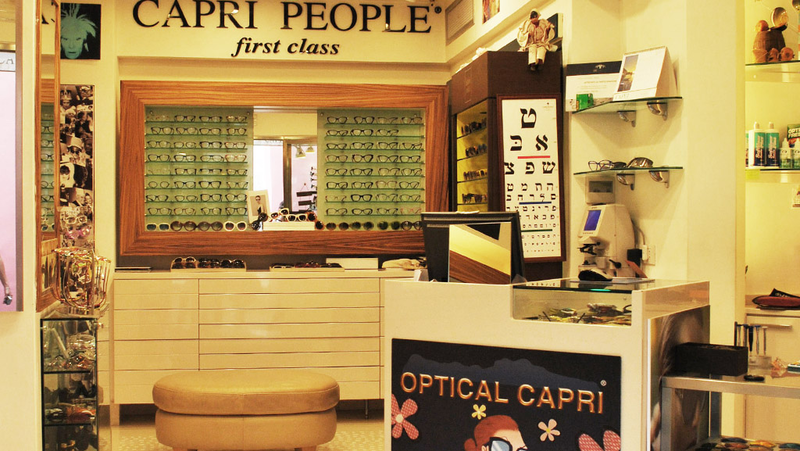 The eyewear “Capri People” brainchild of Silvia De Gennaro, founder of Optical Capri, was born in 1978 when she ran the optical shop in collaboration with her brothers .Thanks to this experience and the enthusiasm of her customers, Silvia inaugurate the “Capri People First Class” line, refined and elegant glasses made ​​in Capri. The new collection, based on the quality of craftsmanship and originality of models, colors and the multitude of possible combinations, brings us back to the charm of the 60 '. Fans of the "Made in Capri " can not help but owning least a pair!